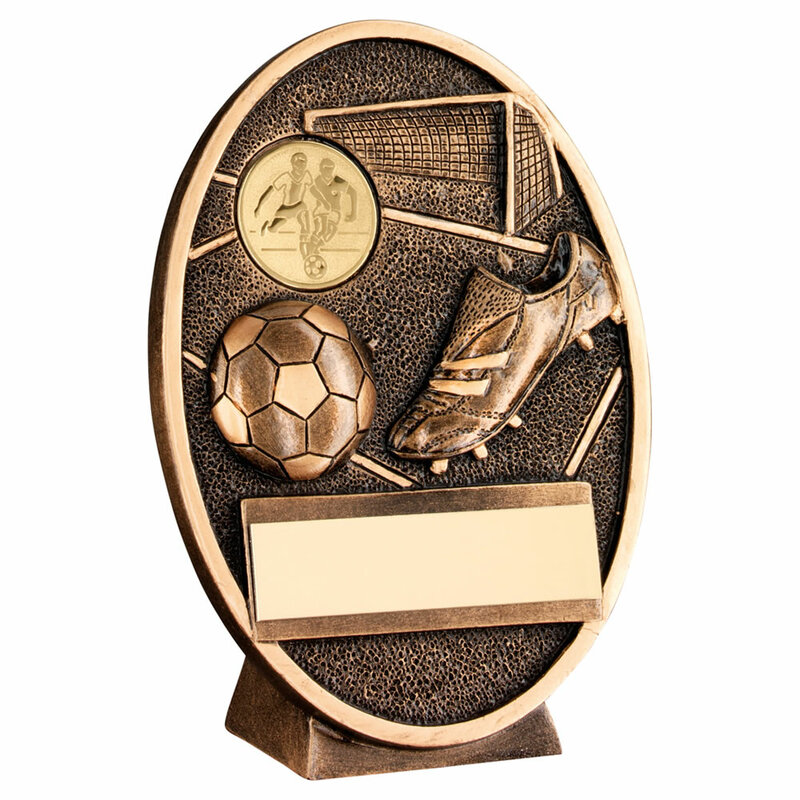 Oval shaped football awards plaque made in resin with bronze and gold colour finish. Available in three sizes, offered with engraving options. These oval plaques feature a football scene with goalposts, boot, ball and 1in football theme centre. They also include a metal engraving plate.